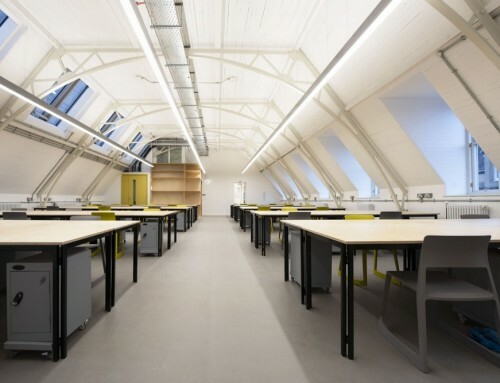 City Architecture Office is delighted to announce the completion of the final phase of a seven-year project to convert a former military building into an arts centre. The final phase has seen the creation of an additional work spaces for 60 artists, a dance & rehearsal room, music room, ceramics studio, a garden and an extended café kitchen, as well as the performance & exhibition halls. Earlier phases focussed on making the existing building usable and forming new internal courtyard spaces at ground level within the main hall. 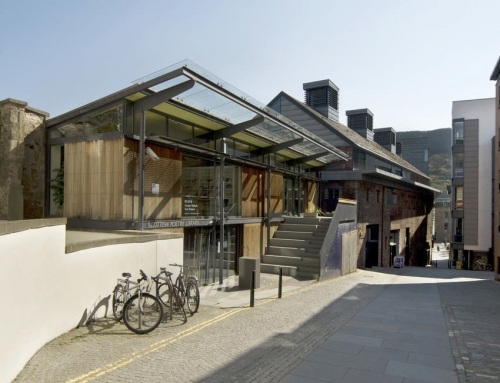 Future flexibility was a key requirement of the community based Arts Trust. The solution was achieved by designing an expandable framework that marries with the rhythm of the existing lattice beamed hall and links the original building to the new structure. The new ground floor and upper level of rooms were carried out in separate phases as funding was secured and the design was able to evolve through ongoing consultation to suit the needs of users. The energy efficient new structure is super-insulated; a combination of a timber frame and a structural insulated panel system. 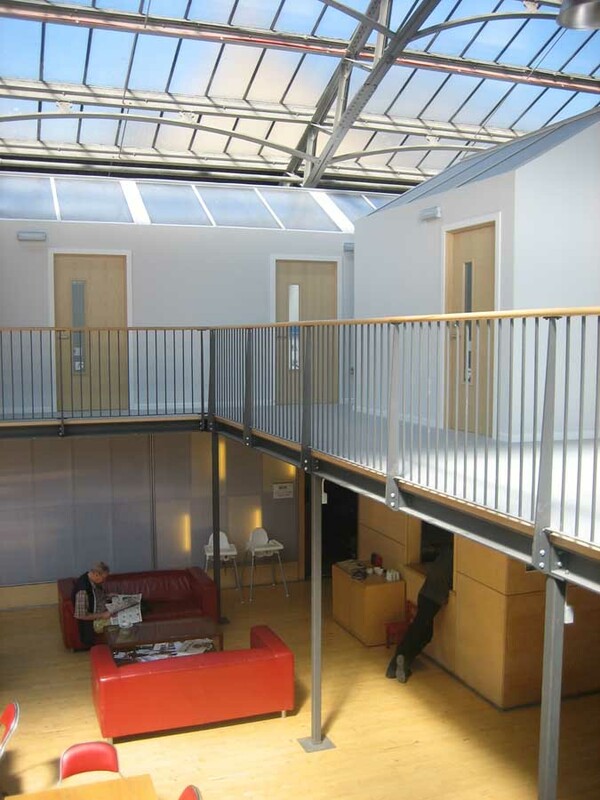 Where possible, steelwork has been designed out and internal wall partitions are non-loadbearing, which allows for further adaptation or expansion. Rooms are heated and ventilated using an air-source and heat exchange system that minimises energy use by utilising the residual heat from the building and atmosphere. This is supplemented by wet solar heat for domestic hot water. 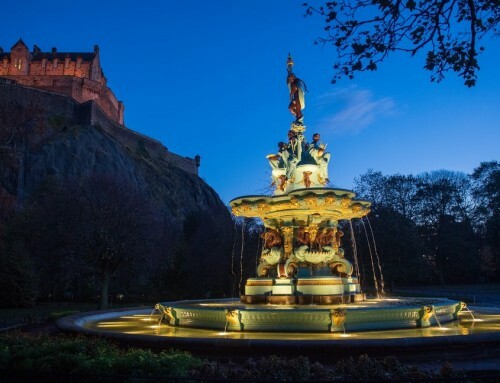 The building fulfils vital cultural needs and generates opportunities to participate in creative activities in Edinburgh. Out of the Blue is a social enterprise and multi-arts venue offering studio and production space for the city’s cultural community. The Drill Hall project has been described as: “an innovative and interesting project…demonstrating best rather than good or average practice and its contribution to environmental dimension of sustainable development,” by the British Urban Regeneration Association (BURA). 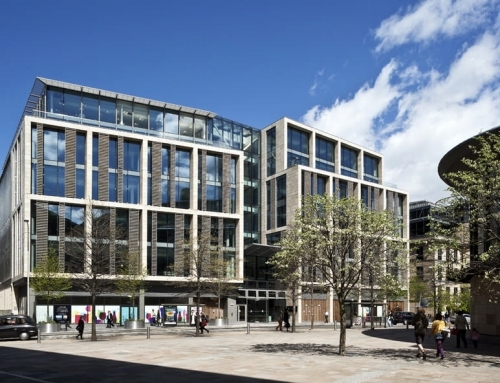 City Architecture Office has been described as one of the best new practices in Scotland, according to Building Design Magazine. 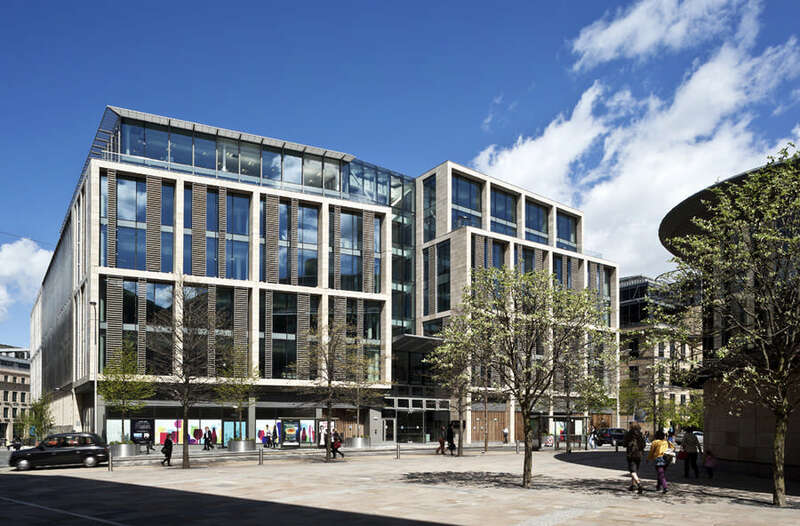 The company has gained a range of commissions across a variety of sectors, from public, commercial, transport and leisure to private residential design. City Architecture Office has attained RIBA chartered practice status and operates an ISO9001 approved quality management system, with ISO14001 approval currently being sought. The practice has also attained approved supplier status for Achilles-Link Up (since August 2008) and Constructionline (from December 2008). 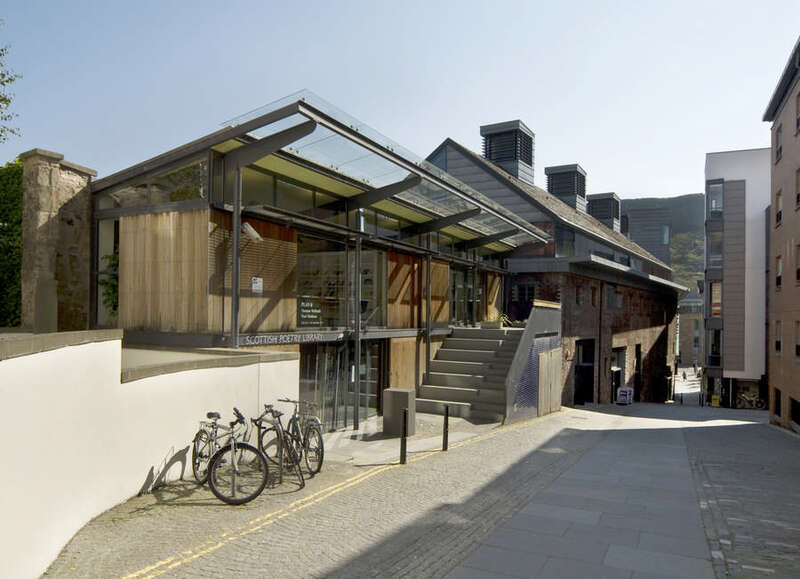 City Architecture Office is a member of the Green Building Council and The Scottish Ecological Design Association (SEDA). The practice is signed up to the 10:10 initiative; an ambitious project to unite every sector of British society behind one simple idea: that by working together we can achieve a 10% cut in the UK’s carbon emissions in 2010. CiAO has won an invited competition from a shortlist of 5 practices, to design a major Creative Arts & Education Centre in Leith, for Out of The Blue Trust. The site is within a listed, former TA drill hall on Dalmeny Street. 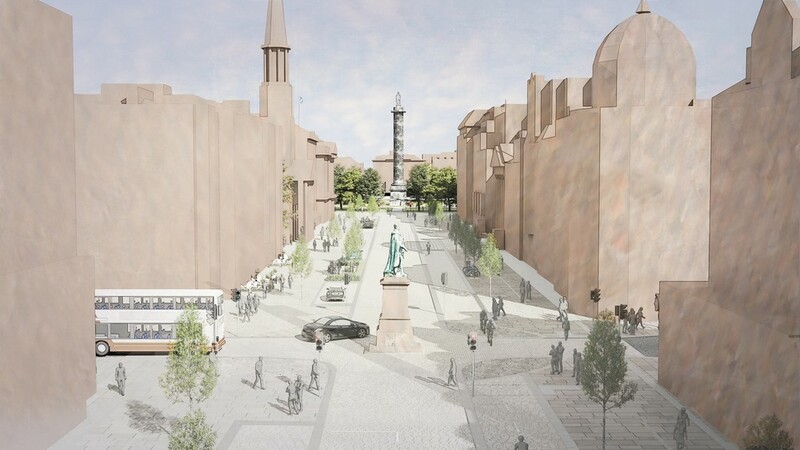 The proposals include flexible studio accommodation, performance & exhibition spaces, creche, cafe & a sculpture court. The design is inspired by monastic & souk patterns. Phase 1 is 500K and subject to Arts lottery funding. 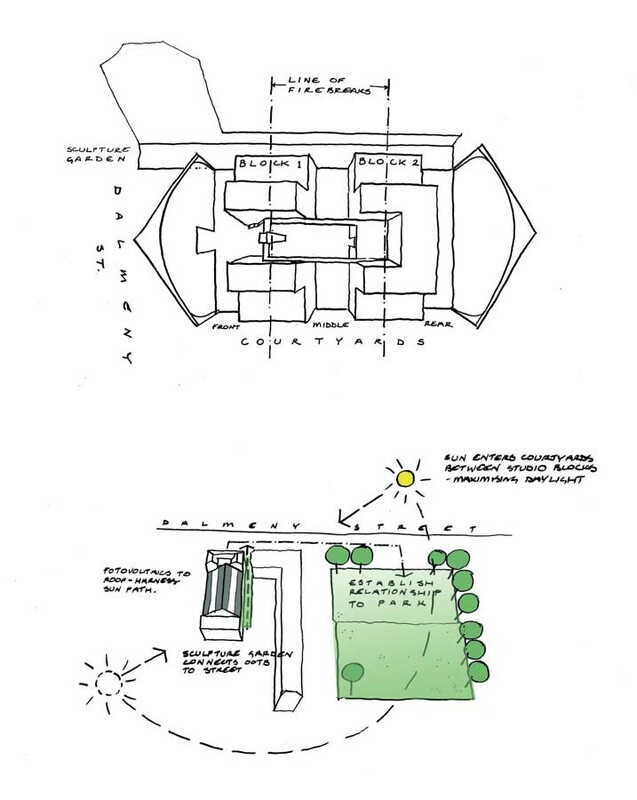 A proposed landscaped community park links to the adjacent building. 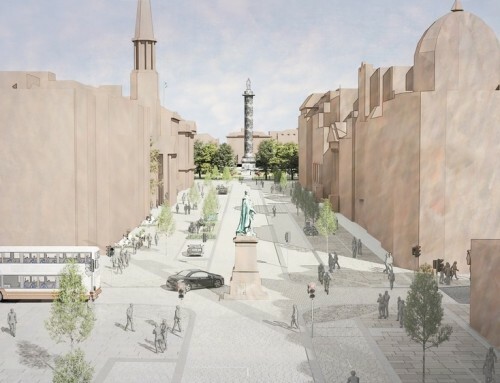 ‘It will fulfill vital cultural needs for the city’. 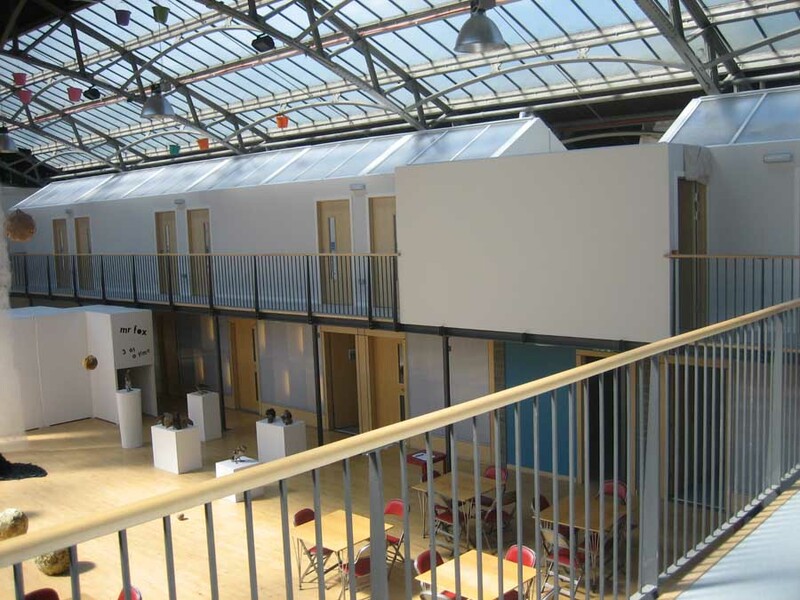 Along with many other interesting buildings in Edinburgh which are not normally open to the public, The Drill Hall in Dalmeny Street, just off Leith Walk, will be open this Saturday. This is the first time that Out of the Blue is participating in Doors Open Day and presents an opportunity for lovers of architecture, local people and potential future users to sneak a look at The Drill Hall. 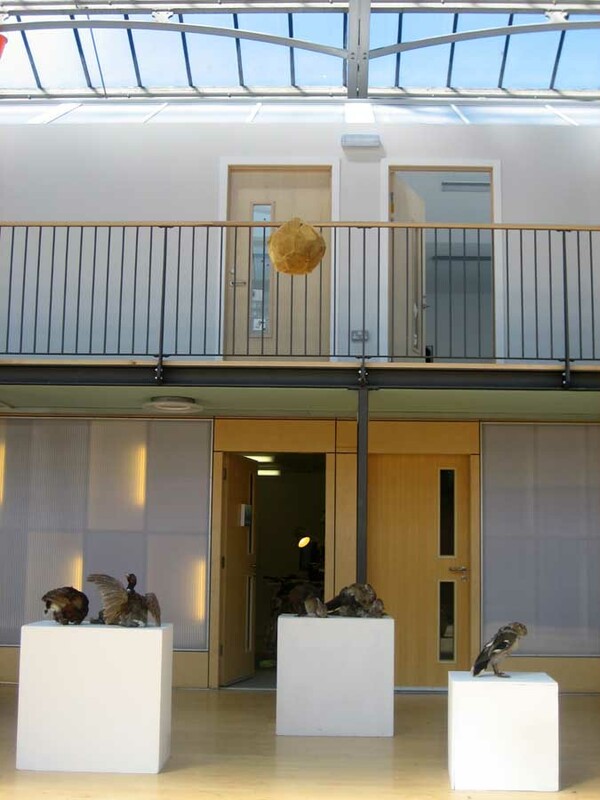 There will be guided tours around the enormous building and some of the artists and organisations who use the building already will welcome visitors into their studios and offices. Out of the Blue is a charity and grateful to Lorne Community Council who is supporting the Doors Open Day at The Drill Hall. The Drill Hall is significant historically in its connection to the worst disaster to befall the community of Leith. On 22 May 1915 a south-bound troop train crashed into a stationary local train outside the signalbox at Quintinshill, near Gretna, and was then hit by a north-bound express. 227 passengers were killed, and 246 injured. 485 officers of the 7th battalion of the Royal Scots, on their way to Gallipoli, were on the train, 214 of whom were killed. Relatives of the soliders congregated outside the drill hall seeking news, and eventually a list of the dead was read out from a window, before being posted up outside. By Sunday the bodies had been transported from Gretna to Leith Central Station, and were taken to the drill hall then functioning as a temporary mortuary. Out of the Blue is about providing opportunities for artists and the wider public to meet, share and learn. A social justice agenda lies at the core of their work and they have established a reputation as a dynamic and innovative community and arts development organisation. 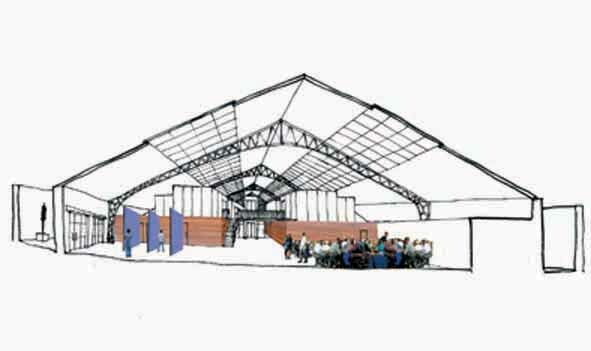 Having secured the Drill Hall, a resource rich with potential, Out of the Blue’s mission now is to continue to transform the building from an exclusive military site into an inclusive participatory arts centre, for the benefit of the people of Leith and Edinburgh, providing space for studios, workshops, projects, education and training classes, and other informal and communal uses. 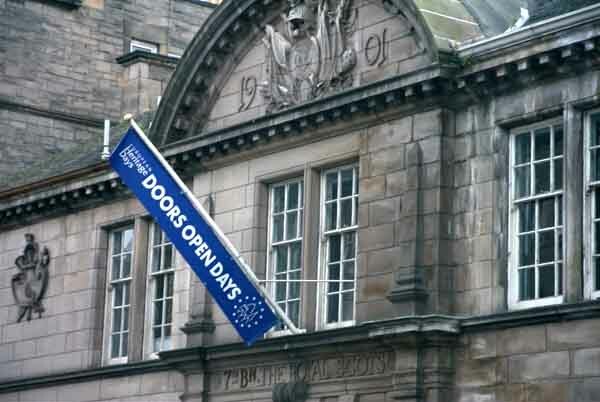 This year’s first time participation of Out of the Blue in Edinburgh’s Doors Open Day was a great success. More than 70 people used the opportunity to find out about the The Drill Hall and its history. Lovers of architecture, local people and potential future users enjoyed guided tours around the enormous building and met some of the artists and organisations who already use the building. 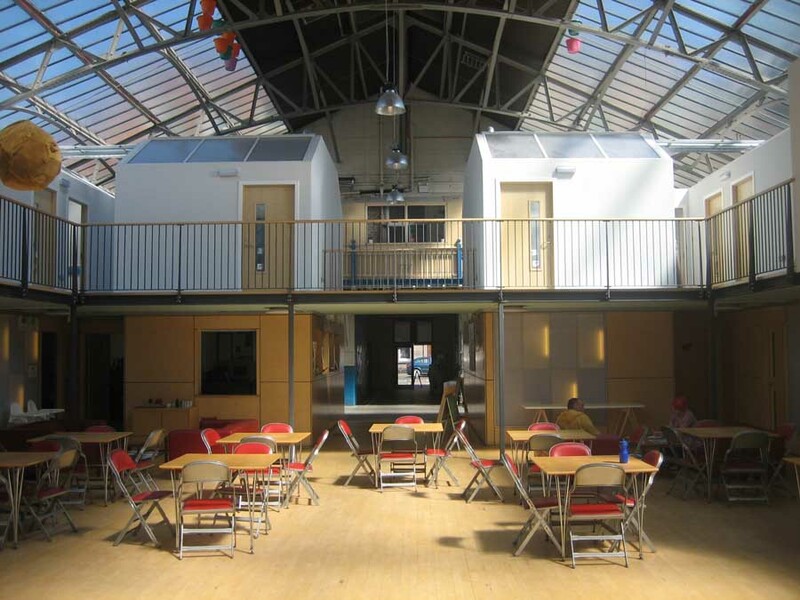 Out of the Blue is a charity and grateful to Lorne Community Council who supported the Doors Open Day at The Drill Hall, Dalmeny Street, Edinburgh.